Music is enjoyed by so many people across the world. From rock to pop, and country to classical, music is all around us. Music can tell a story, convey a feeling, or simply help us relax. The music in the Insider videos help us catch the feel of the race, while listening to Hobo Jim gets us pumped for the 1,000 mile race across Alaska. Music can even be found at Matthew Failor’s 17th Dog kennel. Failor said that music is a big part of his kennel, and he has speakers all over his dog yard. Failor and his team enjoy listening to classic rock n’ roll and classic country and his team’s favorite song to jam out to is Space Oddity by David Bowie. In this lesson your students will create a playlist for the Iditarod. They will choose music based on its lyrics and/or feeling the music conveys. They will choose 5 different songs which match up with 5 different checkpoints along the race. Students will also explain why they chose each song in their playlist. I began the lesson by p laying 8-10 different songs (see the lesson plan for suggestions) and had my students discuss how the song made them felt (i.e. sad, happy, energized, mellow, etc.). We then discussed how a song can make us feel and how we can use songs to describe how mushers might be feeling out on the Iditarod trail at specific checkpoints. I had my class look at the southern route map (the route being used this year) to locate the different checkpoints. I gave them my example playlist which is below. This lesson was a bunch of fun, and my students loved picking songs and dancing around the classroom a bit. When they were finished my students shared their playlists with their table group, and then we put them up in the hallway. We also shared them with our music teacher who enjoyed reading why each student picked their songs. I am Skyping with classrooms across the country! I have enjoyed taking my students on virtual field trips over the years, so I’m excited to work with you and your students to bring the Iditarod to life in your classroom. To find more information and sign up for a time click here. I will also be continuing the Iditarod Classroom Club with Skype which began last year with 2016 Iditarod Teacher on the Trail™ Laura Wright. 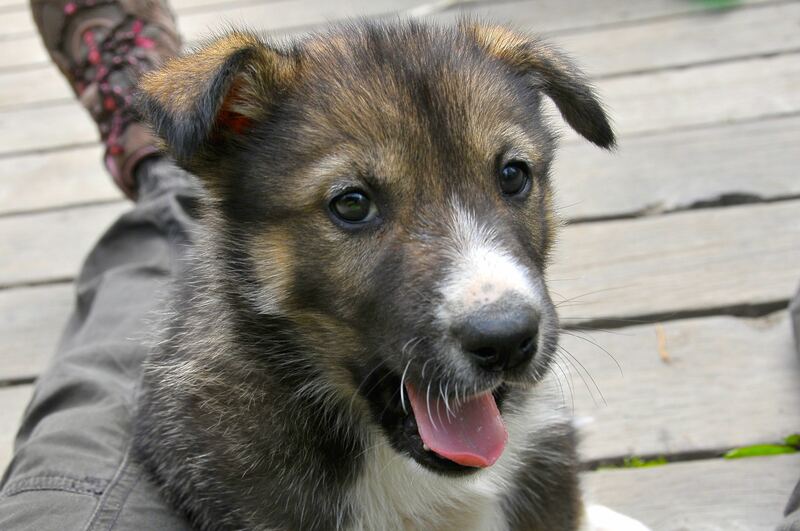 To join in the fun, click here: Iditarod Classroom Club. Join us in Chicago for a conference on January 21! Speakers include Iditarod finisher Charley Bejna (via Skype), local musher Pat Moon, and 2017 Iditarod Teacher on the Trail (along with a few other Teachers on the Trail). Click here for more information. You can also join us in ALASKA! The 2017 Winter Conference will be held February 28-March 3 in Anchorage, AK with the theme of “Making Sense of Problems and Persevering Through Them”. Don’t miss the opportunity to learn from strong educators, and from the mushers themselves. For more information on this conference click here. Winter Conference field trip to Matthew Failor’s kennel in 2016! At first thought you may think there is no connection between the Iditarod, a sled dog race in Alaska, and Veterans Day, a day that honors those who have served in our country. However, there quite a few connections. In this lesson your students will explore how they can use the gifts and talents they have to honor our US veterans this Veterans Day. This lesson was inspired by musher, Rick Casillo who has dedicated his life to helping our war veterans. Casillo has finished the Iditarod six times, but his kennel has more than just a goal of racing the Iditarod. His kennel, Battle Dawgs, has the added goal of raising awareness of combat veterans. The mission of Battle Dawgs is to help combat veterans and empower them through therapeutic and exciting experiences in Alaska’s beautiful landscape using the healing power of sled dogs. Casillo invites veterans up to the kennel to participate in various camps and day trips. One of the camps is the “Iditarod Camp” in which veterans have the opportunity to help Rick prepare for the race, attend the start of the Iditarod, and fly out to a checkpoint along the race. Casillo’s wife, Jennifer, is a combat veteran herself and she is still active as a Lieutenant Colonel in the Alaska Air National Guard. Rick Casillo shares his talent and passion of mushing to help and honor the veterans of our country. He gives of his time and makes certain that each veteran who visits his kennel feels loved and appreciated. He helps them heal from the emotional toll of war, and allows them to experience Alaska and Iditarod in a most unique way. Rick is an outstanding example of how each of us can use our gifts and talents to help and honor our country’s veterans. Have your students take time to reflect on how they can give back to the veterans of your community. Can you make them cards? Share your gift of art? Share your gift of song? Perhaps read them a story you wrote. How can you make a difference in a veteran’s life? Thank you to Rick and all who are involved in Battle Dawgs. Your dedication to our US veterans is an inspiration to us all. To learn more about Rick’s efforts, check out the Battle Dawgs website. When doing this lesson with your students, you can also include information about the founder of the Iditarod, Joe Redington Sr, also being in the military. Joe, along with many other past mushers, have bravely served our country. To learn more about Joe Redington Sr., click here. If you do not have an Iditarod Insider subscription yet, now is the time for you to subscribe. 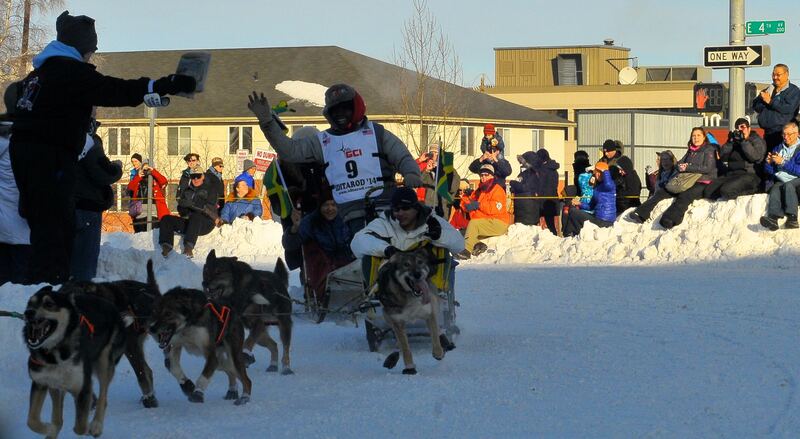 You and your class will have the opportunity to view videos, follow mushers through GPS tracking, watch live broadcasts, and view the live finish in Nome. Having an Insider subscription is not required for this lesson, but it will allow students to access an extensive amount of information. During the race my class will be taking on the role of the Jr. Insider Crew. This lesson keeps students involved in the race while producing quality writing, videos, and social media posts. The Jr. Insider lesson will be continuous throughout the race. There are seven jobs for our Jr. Insider Crew to complete. Each day the groups will rotate to a new job. Every day we will begin by watching the featured video clip of the day on the Iditarod website. Each group will then be assigned their Jr. Insider job for the day which include; Blogger, Twitter, Video, Leaderboard, and Temperature. The students will then explore the website for updates on the race. In their groups they will be able to view video clips, check out the live GPS trackers, analyze the leaderboard, and read the various blogs on different race topics. The Bloggers will be posting a blog updating our audience on the race. They will focus on the previous day’s news updates. They have the option of writing a story about a musher, a checkpoint, the leaders, the red lantern musher, or any topic they feel is newsworthy. Kidblog is a safe and easy blog site for your students to use in class. An excellent feature of this blog is that the teacher must approve the blog before it can actually go live. If you don’t have access to any blog sites, create a homemade blog wall outside your classroom. Students can handwrite their blogs and post them to your “wall.” You could keep Post-it notes nearby for other students or teachers to comment on their posts. There will be three groups creating video clips. One group will create a short video clip on the leaders of the race. Another group will create a video clip on the current checkpoint the leaders are going through. The third group will create a video clip on the mushers near the back of the standings. My students will edit their videos using WeVideo. In their video clips they will need to provide race information to our audience. An enhancement for your video clips could be to shoot your video in front of a “green screen” and edit the video to make it appear the students are actually reporting from the Iditarod trail. The Leaderboard group is in charge of updating the leaderboard. They will need to update the place each musher is in, the checkpoint they have most recently checked through, and the number of dogs each musher is running. You can have your students create a leaderboard using Google Drive and then share the link to Twitter. Another option is to create a large leaderboard poster to hang in the classroom. The Temperature group will be finding temperatures for different places along the trail. One location students will find is temperatures for the nearest checkpoint to the leader. Students will also find the temperature for the nearest checkpoint to the Red Lantern musher. Finally, they will find the temperature for the nearest checkpoint to our class musher, Cindy Abbott. The students will provide both Fahrenheit and Celsius for their temperatures. An option is to also include your hometown’s temperature to discuss the difference in temperatures. This lesson is another way to keep your students engaged in the race while still working on their reading, writing, speaking, and technology skills. Even if you don’t have access to some of the social media from this lesson, there are different options for you to still complete this activity. Again, I highly recommend subscribing to Iditarod Insider. It will enhance this lesson as well as provide you with quality race coverage. The Iditarod has an impressive historic value that it brings to the state of Alaska. Not only does it have historic value, but it also shares rich culture among all the countries that participate in the race each year. Including the United States, there are 8 countries represented in this year’s Iditarod. One country not represented this year that has been represented in the past is Jamaica. Most people probably think this is strange due to the differences in climate, but to Jamaica, they are adding to their own culture and bringing their unique culture to Alaska. My class just finished studying the Caribbean Islands, another great opportunity to tie in the Iditarod. This common core aligned lesson gives students the opportunity to determine how culture in Jamaica and Alaska are affected by having a Jamaican dogsled team. We started the lesson by reviewing the components of culture; language, religion, music, sports, etc. The focus for our lesson on culture is sports, so we listed the sports that the students know are a part of Jamaica. Two sports were missing from our list; bobsledding and dogsledding. The kids’ response was obvious; the climate is not fit for this type of sport. After discussing this, the students read an article and watched a video clip about Jamaica’s first bobsled team. After discussing what the students read and saw on the video, they were assigned a writing assignment to defend how they feel the first bobsled team affected the culture of Jamaica. We discussed the writings the next day and the students were put into groups for the next part of the lesson. In their groups students read about Newton Marshall, the Jamaican musher. The next task involves the students displaying the information they learned about Newton. The groups will create an interactive image using a free web tool called Thinglink. Using Thinglink students are able to choose an image to represent a specific topic, Newton Marshall. They are then able to add additional images, videos, sounds, and web links to the image in the form of an icon on the image, making the main image interactive. Remember when using images from the Internet to remind your students of copyright infringement. An easy way to make sure your students are using free images is to use Google Images. There is a tab titled Search Tools, click this, then click on Usage Rights. This will allow you to choose labeled for reuse. Now you can use images and not break any copyright infringement laws. When the groups are finished with their Thinglink, they will share their interactive image with me and with one other group in the class. Thinglink allows students to share their image with a variety of social media sites, but they can also just share the link with their teacher. Each group will view another group’s Thinklink about Newton Marshall. After viewing an image, the students will complete another writing about culture. Check out the student example below. If your class does not have access to computers to work on Thinglink, think about creating an interactive image by hand. Students can draw a picture that represents Newton Marshall. Where an icon would be on Thinglink taking the audience to an image or video, have students create a flip book. When a viewer flips up a piece of construction paper, another drawing is presented. If you have students that work faster than others, have them create an additional Thinglink on the first Jamaican bobsled team. Since my class just finished studying the Caribbean Islands, it was a perfect fit. However, it is not necessary to study the Caribbean Islands to complete this activity with your class. The students in my class loved the connection between the Iditarod and Jamaica as well as working with a new web tool. As the Iditarod nears, consider looking into the other countries that are involved in The Last Great Race. 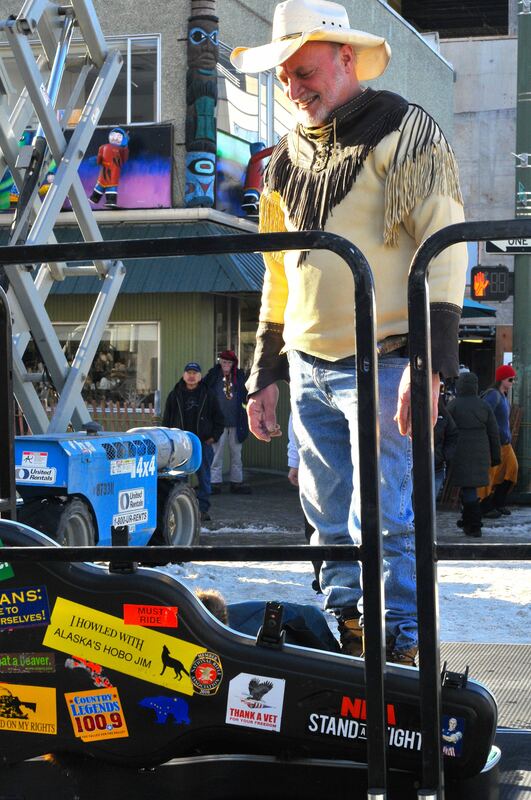 This week’s Iditarod Trivia Tuesday posed questions about Jeff Schultz, official photographer of the Iditarod. Continuing with the theme of photography, this lesson will focus on interpreting quotes and inferring their meaning while using photography. To begin this Common Core aligned lesson you will have your students brainstorm quotes they remember or often quote from movies. After compiling a list of quotes, have your students make note of the quotes that they feel have a bigger meaning. There are many famous quotes that can be interpreted many different ways. In fact, we can interpret quotes to fit our own life experiences, or even Iditarod experiences. The next step in this lesson is for your students to discover a quote that represents an Iditarod picture. 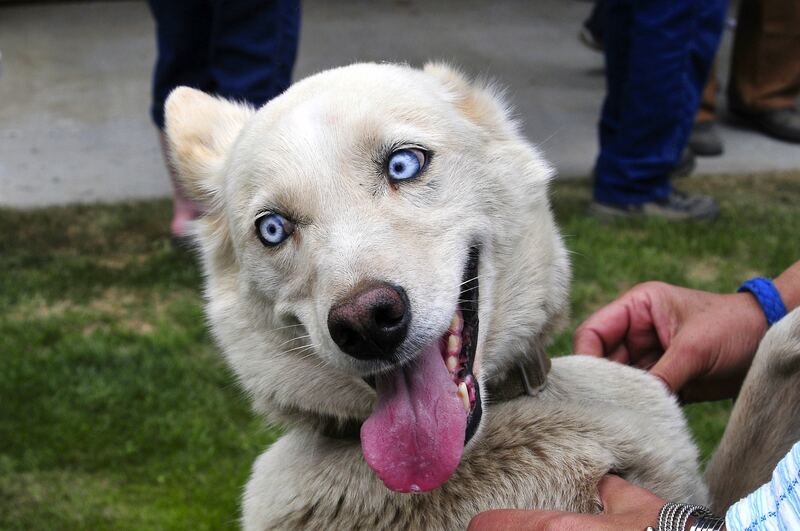 Choose a picture ahead of time from Jeff Schultz’s 2014 Iditarod photo album to display on your board. Note: Due to copyright laws you cannot reproduce these images. In small groups, students will search for a quote on Brainy Quote that represents the image. Once students find their quote they will complete the Making Inferences with Quotes and Photos Worksheet analyzing the quote they chose. The worksheet challenges students to infer the meaning of the quote by asking a series of questions. Does the quote remind you of something? How can you apply these words to your own life? How does this quote relate to the Iditarod? After sharing the quotes with the class, your class will have a list of quotes that represent Jeff Schultz’s image. To culminate this lesson students will have the opportunity to snap their own photos. Allow your students a couple of days to find the perfect images. Your students will be required to snap eight pictures, each picture representing a different letter of the word IDITAROD. Finally, using the web tool, Livebooklet, your students will create a flipbook of their images including a quote for each image. Your students should be able to defend their decision of each quote they chose. The final product will be shared with the teacher via email and can also be shared through social media. If your students don’t have access to cameras, allow them to do a drawing of their picture. Encourage your students to be creative while shooting pictures. Maybe take a selfie with the item/place of the picture they are taking. Possibly have your outstanding photographers print their images out and display them in the library. Think about hosting a Photo Exhibit with all of the pictures and quotes that represent IDITAROD. Click here to see an example IDITAROD flipbook. No matter what age, grade, or skill level, analyzing the theme of a story or book is a difficult task. It requires students to make an inference. This higher order thinking skill can be quite challenging. A fellow teacher of mine noticed her Literacy students were having trouble grasping theme. She turned to something almost all kids enjoy, music. She determined that using T.V. show theme songs could help them master this skill. As we talked about this, my mind turned to the Iditarod. Could this be done using an Iditarod themed song? Well, of course, and the song would be I Did the Iditarod Trail by Hobo Jim. This Common Core aligned lesson can be used with any grade level. To grab her student’s attention she played the theme song to the T.V. show Friends. It was pretty easy for the students to pick up on the theme of this song, friendship. However, when you look at the beginning of the lyrics with no music, it appears quite depressing. Adding the music, the tone of the singer, and the chorus, we can easily determine this song is about friendship. Before actually listening to Hobo Jim’s song, students complete a close reading using the lyrics of the song. This concept is for the students to analyze the lyrics and identify the words and/or phrases that support the theme of the song. Students will use the Song Lyrics Analysis Worksheet during the close read. While analyzing the lyrics they will discuss the mood of the song and how it makes them feel. This will help determine the theme. What do you think this song is saying about life? Is there something to be learned? Or, is the writer of the song trying to teach you something? After determining what they feel the theme is, the students must defend their choice by highlighting the evidence in the song. Any words or phrases that support their choice should be highlighted. After a class discussion it’s finally time to listen to the song. The next part of the lesson is individual practice for the students. Have your students choose a book they are currently reading or have recently finished. Students will determine the theme of their book and choose a song they feel could be the “theme song” for this book. To defend their choice, students must highlight the evidence in the lyrics of the song. If your students are really creative, they can actually write their own theme song (parody). Have your students choose a song whose music they like and rewrite the lyrics of the song. Your students can then use GarageBand or Audiotool to put the lyrics to the music. To extend this lesson, make it cross curricular. Have your physical education class do a square dance routine listening to the song. Diane Johnson, Iditarod Education Director and 2000 Iditarod Teacher on the Trail™, asked her P.E. teacher to devise square dance steps for I Did the Iditarod Trail and the students performed the dance. View the steps here. Involve the music class by having your students learn the song and perform it for an upcoming concert. Social studies students could map out the places Hobo Jim has performed. Math students might analyze the measurement of time in the song. Using the song, science students learn about the effects music has on the growth of plants. Music is an excellent subject to incorporate into your lessons. Just chatting with my friend about the difficulty of understanding theme of a story, many lesson ideas incorporating music evolved. I love music, so incorporating it into my classroom is no problem. I hope you take the opportunity to bring the idea of song, especially Hobo Jim’s I Did the Iditarod Trail, into your classroom. One of Vern Halter’s dogs singing. Click here to learn more about Hobo Jim and purchase a CD.